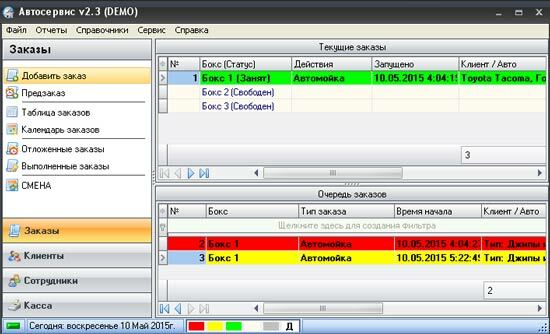 Program Car maintenance is simple and convenient for automation of service stations, car washes, tire and etc. 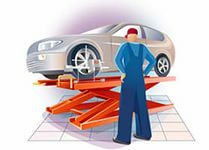 automation Program service center will ensure efficient and easy management of your garage. 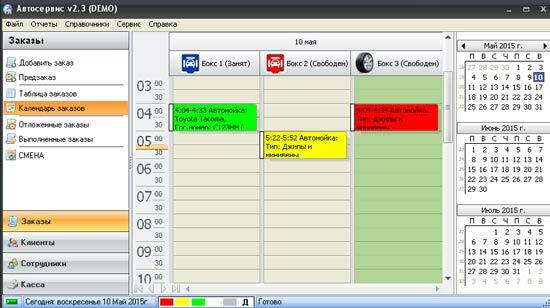 Management program service has a number of advantages and qualities: Quick access to the database snapshot data search according to entered criteria, the possibility of network access, multiuser mode of operation, planning of balanced load jobs, keep the cash flow coming in cash and more — all in one helper program. - Calculation of salaries depending on the production, accounting of rewards and penalties. Очень понравилась эта программа. Были поначалу непонятные моменты, но связавшись с продавцом получил четки и понятные разъяснения. Все отлично как всегда ! Мгновенный код и активация без проблем ! Рекомендую !